Nord Keyboard Stand is a light-weight, adjustable and designed to give you maximum stability and comfort while playing. The legs are mounted on the bottom plate of your instrument, preventing it from moving around as with conventional stands. The stand is easily mounted without the use of any tools, and can be fitted in the soft case for transport. 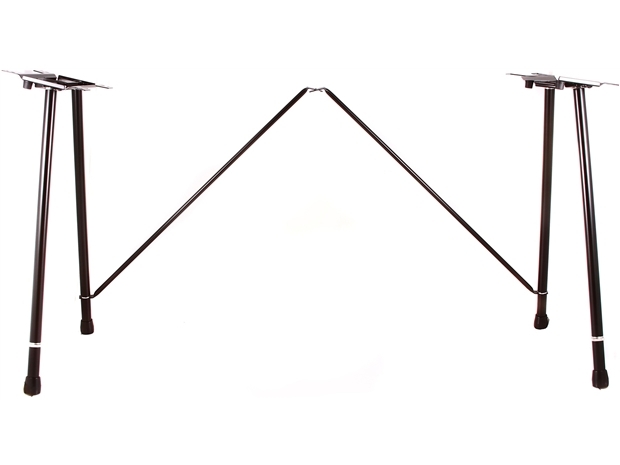 The height of the Keyboard Stand is 650 mm ( 25.6").